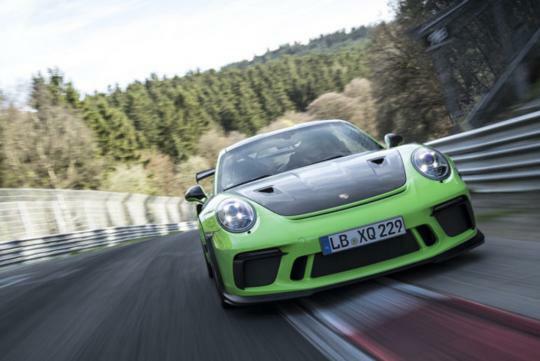 Thanks to General Motors(GM) development team, Porsche was able to set an under-seven-minutes lap timing at the Nurburgring for its 991.2 911 GT3 RS. According to Motormouth, Porsche had forgotten to book the track in advance for the day they had planned to set a timing for the recently launched 911 GT3 RS. Upon reaching the track, they found out that the GM development team that had booked the track for testing the Corvette ZR1 for the whole day. “We went there, pretty much the first to arrive at the track, with an official and two stop watches,” said Oliver Berg, Porsche's GT product manager. After realising their mistake, Porsche approached the boys at GM for a favour and managed to get an hour of their track time to attempt a new lap record with the GT3 RS. Interestingly, Porsche needed less than an hour to get what they needed. “The first thing my boss said was ‘Oh we can stop now, we’ve achieved our goal.’” said Berg. “And the Corvette guys were just standing there with their mouths on the floor. They didn’t expect us to do that on the first lap.